Why Not Defend America's Borders? This website contains political immigration cartoons related to U.S. legal and illegal immigration. 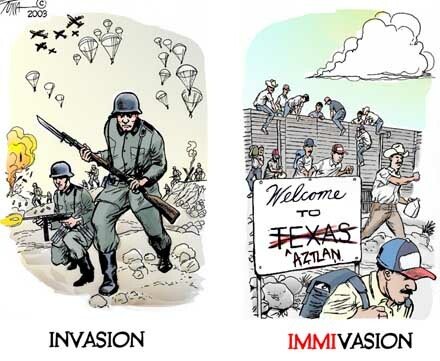 The title immivasion is derived from immigration invasion. Cartoons on this site represent both sides of the issue but primarily focus on the failure of the U.S. Government to enforce Article IV, Section 4 of the U.S. Constitution regarding protection from invasion.